A lovely, bright, north-facing suite featuring hardwood floors, leaded glass windows and gas fireplace. A lovely, bright, north-facing suite featuring hardwood floors, leaded glass windows and gas fireplace. Ideal for two people wanting to escape to a pied-de-terre and enjoy all Vancouver has to offer. The living room is appointed with a Natuzzi italian leather sofa, 42 inch flat screen TV and plush wool carpeting on oak flooring. The quiet queen bedroom is a sanctuary with a beautiful Pottery Barn duvet and 400 thread count sateen cotton sheets. 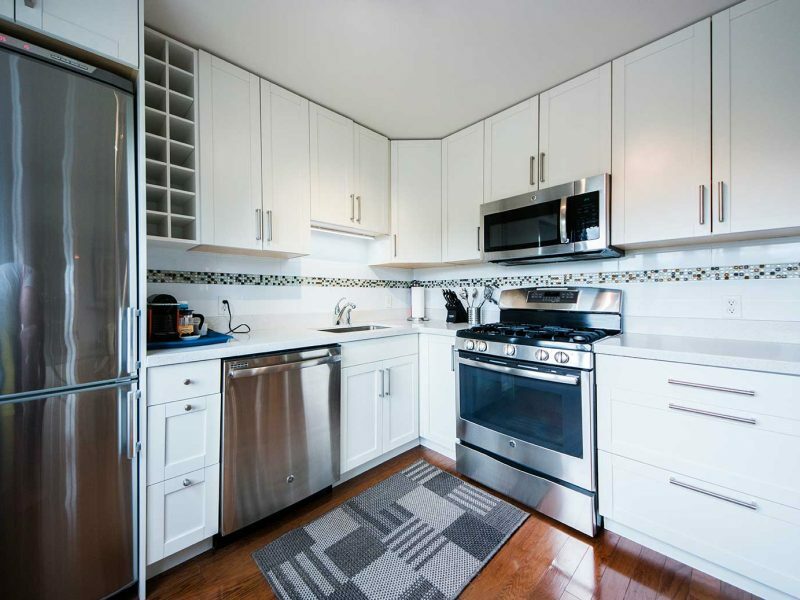 The kitchen is brand new with granite counter tops and stainless steel appliances. It is fully equipped including dishwasher, gas stove and all amenities. New! We have added a NESPRESSO machine to make the perfect espresso or cappuccino every time. This suite is most suitable for 1 or 2 persons. Refunded within 7 days upon acceptable inspection after check out. 31+ days before arrival – full refund except $50 admin fee. Year after year, Alma Beach Suites has won the certificate of excellence with TripAdvisor. Come see why we are always highly reviewed! 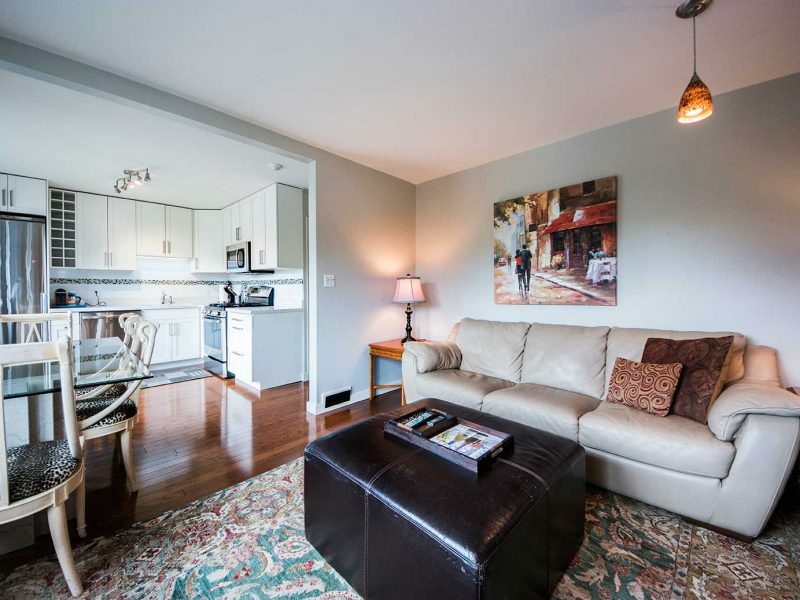 Our premium furnished rentals offer the best of short term accommodations in Vancouver. Come stay with Alma Beach Suites today! ©2018 Alma Beach Suites. All rights reserved.